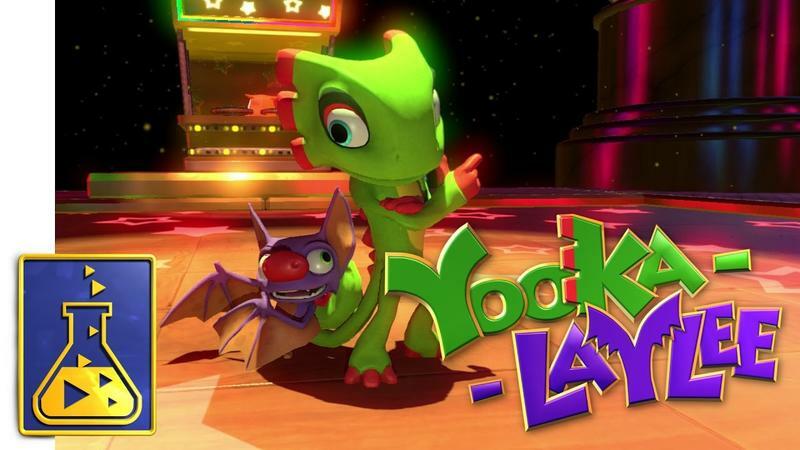 Yooka-Laylee's rap, released over the weekend on April 1, has a very familiar beat for those who played Nintendo games in the mid-to-late-90s. Developer Playtonic Games, channeling their inner roots from their time at Rare, has created a new rap in the vein of the infamous DK Rap from Donkey Kong 64. All that you love, all that you hate, and all that you love to hate and hate to love about this little moment in video game history has been brought up to speed for 2017 in this latest trailer for platforming gaming's two brightest young stars. It's cheesy, corny, and impossible to stop listening to. If you've never heard the DK Rap in Donkey Kong 64 or in any of the Super Smash Bros. games, then prepare your virgin ears because I'm about to open up a whole new world for you. Yooka-Laylee will be released on the Nintendo Switch on April 11. It will also be coming to the PlayStation 4, Xbox One, and PC in 2017.